The Safe Drinking Water Act of 1974 and its subsequent provisions have accomplished a great deal in cleaning up and preserving our nation's water sources. 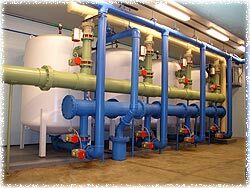 However, the tough new standards set by the EPA are creating unique challenges to the thousands of municipal water plants across the country. The majority of these plants were constructed well before 1974 and engineers are now faced with upgrading their technology to meet the new standards. Other plants have found their water sources, both surface and ground water, permeated with contaminates not originally anticipated when the treatment facilities were designed. Lastly, recent outbreaks of illness from microorganisms such as Giardia and Cryptosporidium (Milwaukee, 1993) have proven current treatment methods fall short in producing safe, clean, potable water. 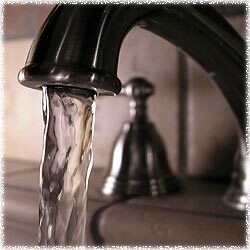 As chemical contamination increases in source water, we increase the power in the treatment method. Disinfection byproducts from conventional treatment methods are generating obstacles for municipal water plants. Can ozone help? Cryptosporidium. Giardia. Ozone picks up the disinfection where chlorine fails.